HOW’S YOUR PMA (POSITIVE MENTAL ATTITUDE)? Attitude is the King of EQ – emotional intelligence at NBC camps and in the Crowell Household. As you read today’s Words of Hope, it was written in two settings. Setting #ONE – A boardroom in Portland, Oregon. A few seasons ago in Naselle, a town in SW Washington, was my residence. 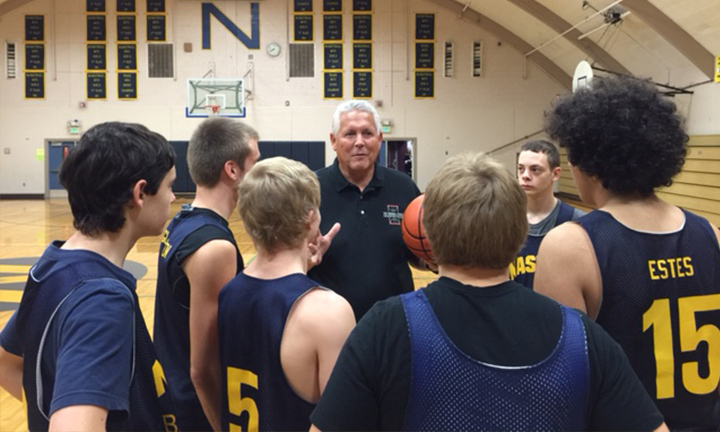 The Comets’ started their basketball season, and the boys and girls coach invited me to consult. Lyle Patterson is a dedicated, quality coaches; for 29 years he has coached basketball at Naselle. His boys’ basketball team won 623 games. Patterson was also a tail gunner on a B-29; shooting downs Russian Migs over N Korea. I refer to him as a national treasure. Another highlight was staying in the beautiful home of Tim and Sabrina Wirkala’s, nestled alongside the Naselle River. I asked Mr. and Mrs. Wirkala why they hold NBC in such high praise. Setting #TWO – While in the Portland airport for two hours I became engrossed in writing about PMA. Oops, missed my flight back to Spokane! Enthusiasm about getting home evaporated as I took the shuttle to a hotel, and my PMA was being severely challenged. The challenge before me was what I call the rebound factor. How long was it going to take to get my PMA back? I gave myself 10 minutes to win it back. 1. Make PMA a focused choice. 2. Hang with PMA People. 3. Embrace the Master of PMA – Jesus Christ. Read Philippians 2:1-11 six times. My PMA is high as I head home this a.m. Don’t think I will miss this flight. PMA is a trademark at NBC. How is your PMA, is the question, “Boy am I enthusiastic” is the answer. Changing your attitude causes you to change your behavior. Attitude is a choice. We can all choose our attitude as well as our level of effort.